Gov. 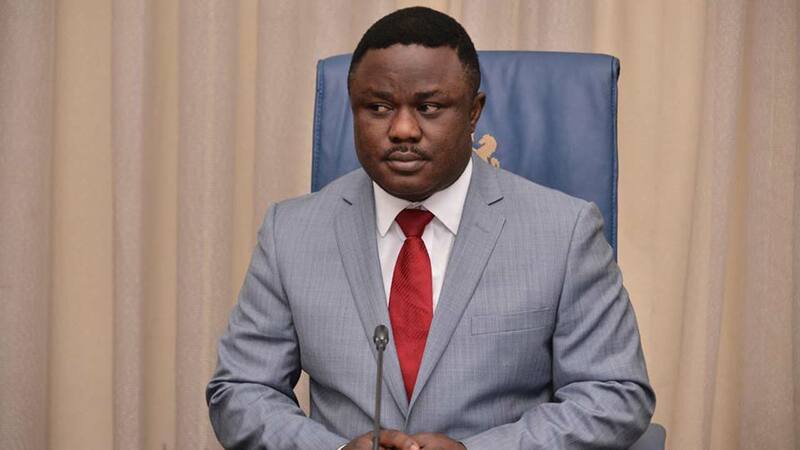 Ben Ayade of Cross River of Friday offered appointments to no fewer than 200 widows during the inauguration of the headquarters of Cross River Women Emancipation Initiative (CROWEI). Ayade said at the ceremony in Calabar on Friday that the decision to give the widows appointments was aimed at bringing to an end the issue of lack of money for basic necessities in their lives. He directed the Commissioner for Women Affairs and Commissioner of information to take the names of the widows, adding that those from the villages would be given appointment into the Local Government Councils while those in Calabar get jobs at the state level. The governor also donated a 32-seater coaster bus to the organization, to enable it to undertake its functions effectively. He said CROWEI afforded him the opportunity to reach out to all the women in the state so that he could assist them whenever the need arose. “As many women that are in challenging circumstances, please get close to CROWEI, so that we can deal with the issues that are peculiar to you at the family level. “The opening of this office opposite the Governor’s Office is deliberate; so that I can have immediate and direct contact as soon as there is a problem. He encouraged the women to visit CROWEI office whenever they were faced with difficult challenges. According to him, the welfare team will always be available to take care of them. The governor directed that the sum of N5 million be shared shared among the women present at the inauguration. He added that he would do his best to ensure that all women seeking elective positions in the state received his support. “For all women seeking appointments and elective positions, I will do my best to protect the 35 per cent affirmative action. “I will never take a job from a woman sitting in an elective position,” Ayade said. Similarly, the Commissioner for Women Affairs, Mrs Stella Odey, said that CROWEI was established to sensitize and empower women in the state. Mrs Odey said that part of the reason for the gathering was to appreciate the governor for his benevolence toward the women in the state. She noted that the governor’s wife, Dr. Linda Ayade, had touched the touch lives of so many women through CROWEI by providing them with different skills and small start-up capital. In her speech, Mrs Lorentia Etta, the Chairman, Caretaker Working Committee of CROWEI, said the organisation was established to emancipate women in the state from the shackles of all forms of poverty. Etta noted that similar programmes in past had gone into oblivion but expressed optimism that CROWEI would be sustained even beyond 2019, so long as women were trained. “When women are exposed to acquiring skills, with or without CROWEI, the skills will remain even beyond 2019 and that way, CROWEI will not die”, she said. She urged the women to get their Permanent Voter Cards (PVCs) as CROWEI would embark on a tour of the local government areas of the state to sensitize the women to register and vote during the forthcoming election. The inauguration of the CROWEI headquarters started at the popular Millennium Park in Calabar with a colourful rally by different women groups in the state.